Palestinian parliamentarian, feminist and leftist leader Khalida Jarrar was once more ordered to imprisonment without charge or trial by the Israeli occupation. The renewal came for the fourth time on Thursday, 25 October; Jarrar has already been jailed without charge or trial for 16 months. The new detention order once again renews her imprisonment for four more months. 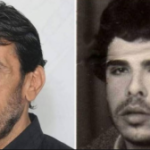 Addameer Prisoner Support and Human Rights Association, of which Jarrar serves as vice-chair of the board and was formerly the Executive Director, noted that a hearing confirming the order will be held in an Israeli military court within the next week. Administrative detention was first brought to Palestine by the British colonial mandate before being adopted by the Zionist occupation. 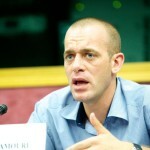 Administrative detention orders can be issued for up to six months at a time, and they are indefinitely renewable. Palestinians have spent years at a time jailed without charge or trial under administrative detention. There are currently approximately 450 Palestinians jailed under administrative detention out of a total of 6,000 Palestinian political prisoners. Jarrar is imprisoned at HaSharon prison, where she and fellow women prisoners are engaged in an ongoing campaign of resistance to Israeli surveillance and repression inside the prison. Palestinian women prisoners have been denied family visits in retaliation for their protest. 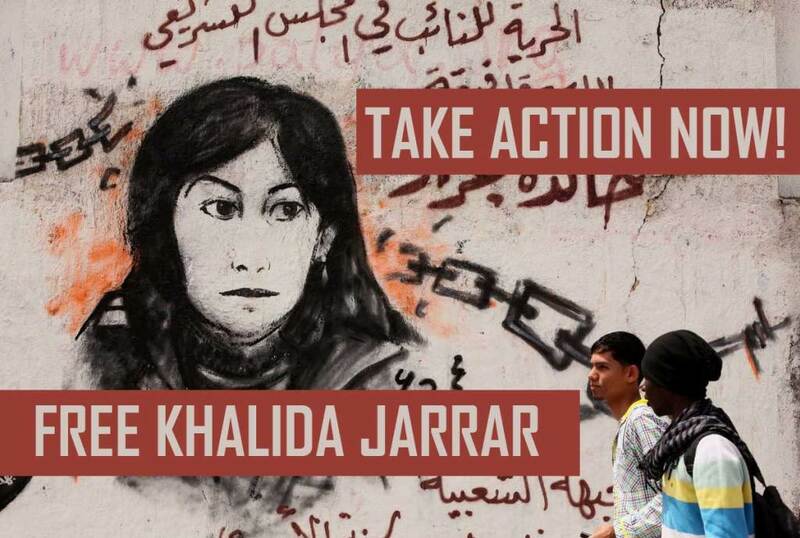 Stand up for freedom for Khalida Jarrar and all Palestinian prisoners by taking action below. Organize a protest, demonstration or other gathering or event to Free Khalida Jarrar. Bring posters and flyers about Khalida’s case and hold a protest, or join a protest with this important information. Hold a community event or discussion, or include Khalida’s case in your next event about Palestine and social justice. Find your nearest Israeli embassy here: https://embassy.goabroad.com/embassies-of/israel. 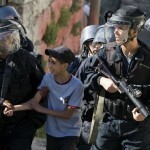 Write to us at samidoun@samidoun.net or contact us on Facebook to let us know about your action! Contact your Member of Parliament, Representative, or Member of European Parliament. The attack on Khalida is an attack on Palestinian parliamentary legitimacy and political expression. Parliamentarians have a responsibility to pressure Israel to cancel this order. Boycott, Divest and Sanction. Hold Israel accountable for its violations of international law. Don’t buy Israeli goods, and campaign to end investments in corporations that profit from the occupation. Learn more at bdsmovement.net. Jarrar is a longtime advocate for the freedom of Palestinian prisoners, the Vice-Chair of Addameer Prisoner Support and Human Rights Association and its former Executive Director. A member of the Palestinian Legislative Council elected as part of the leftist Abu Ali Mustafa Bloc, associated with the Popular Front for the Liberation of Palestine, she chairs the PLC’s Prisoners Committee. Over 290 international groups, political parties, labor unions and social movements signed on to a statement in July 2018 supporting Khalida’s release. To add your group’s name to the statement, use the form or email samidoun@samidoun.net with your group’s name. 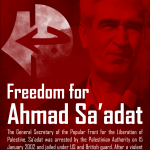 Materials to Distribute: Freedom for Khalida!